This paper presents an Intelligent Cloud Resource Allocation Service (ICRAS) that assists consumers with the complex task of finding the optimal configuration of Cloud resources given a consumer’s specific needs. The process of selecting a CSP becomes increasingly complex as the number of Cloud Service Providers (CSP) offering similar services continues to grow. Consumers can pick and choose between CSPs based on a growing number of options, including price, Quality of Service, reputation and so forth. The advent of dynamic pricing (based on real-time availability) further increases the complexity of CSP selection. ICRAS alleviates much of this burden from the consumer by automating the processes of service discovery, evaluation, negotiation and migration. Furthermore, ICRAS monitors Service Level Agreement (SLA) compliance using non-repudiable monitoring techniques. 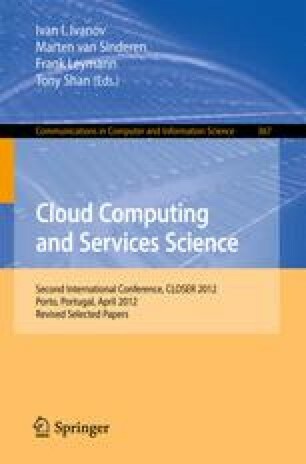 This is an updated an extended version of the paper “An Intelligent Cloud Resource Allocation Service - Agent-based automated Cloud resource allocation using micro-agreements”  presented at the 2nd International Conference on Cloud Computing and Services Science (CLOSER 2012).